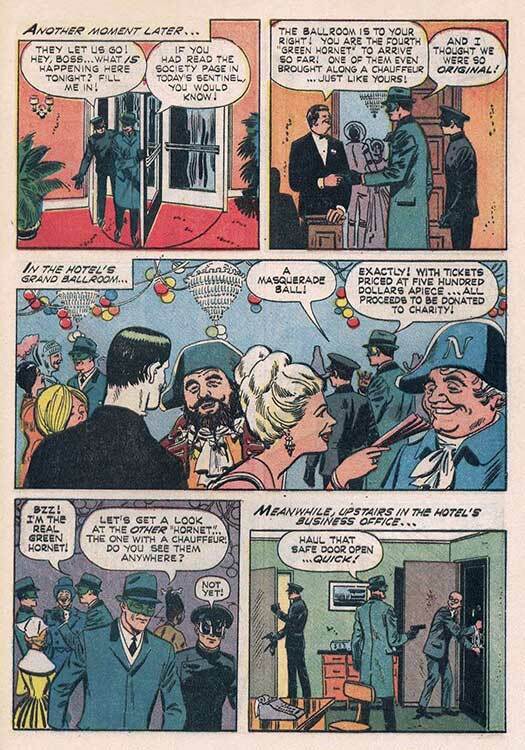 Hero Histories: Reading Room THE GREEN HORNET "Masquerade"
...but this party ain't over...yet! 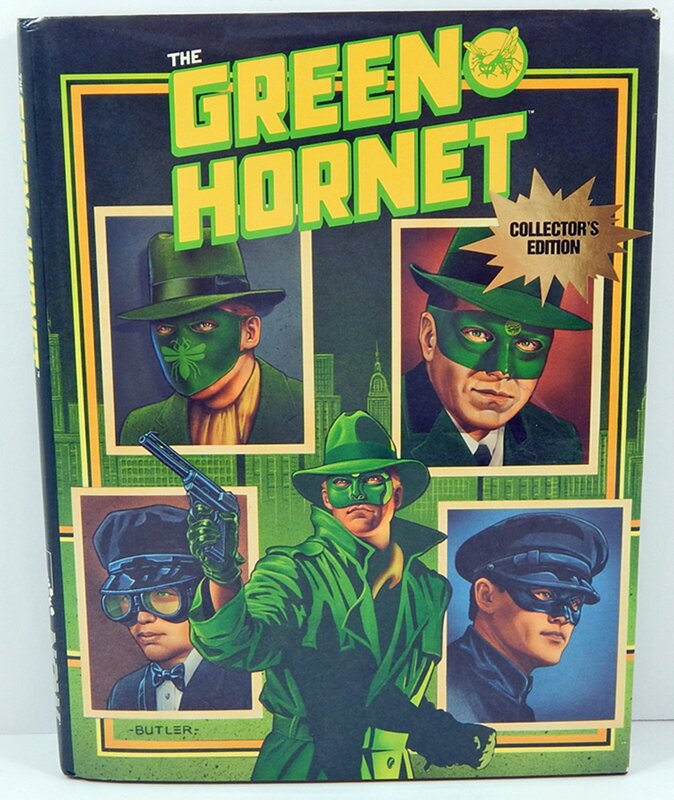 Amazing how average people can create or acquire detailed Green Hornet costumes, eh? Makes you wonder if (in the world of the TV series) some manufacturer actually produced them, making Halloween parties a hotbed for Hornet imitators! For the only time, we see the Police Commissioner (who never appeared on the series). 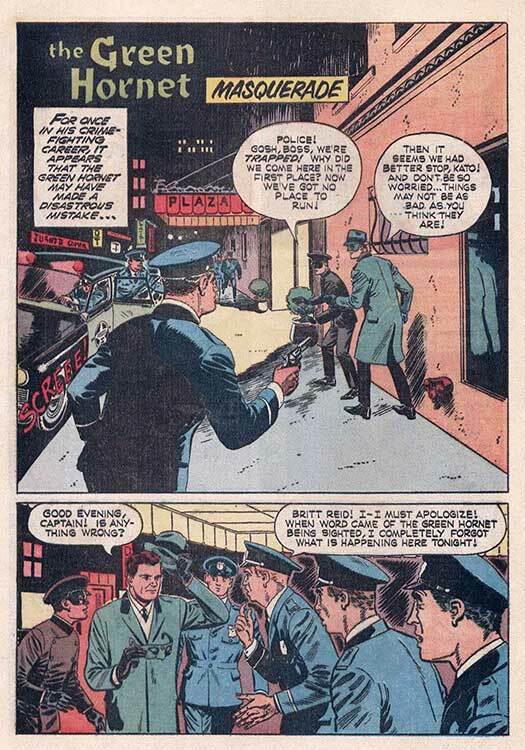 In the radio show and 1940s comic, Police Commissioner James Higgins eventually learned The Green Hornet's identity and worked surreptitiously with him (maintaining the fiction that The Hornet was a criminal to the rest of city government). 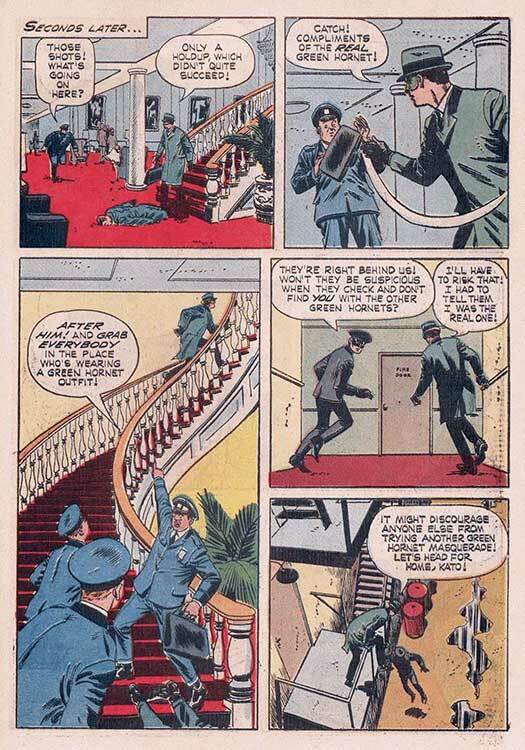 But, since studio-mate Batman had a Police Commissioner as an ally, District Attorney Fank Scanlon was created for the series, and has become part of Green Hornet lore, showing up in the 2011 movie and associated comics! 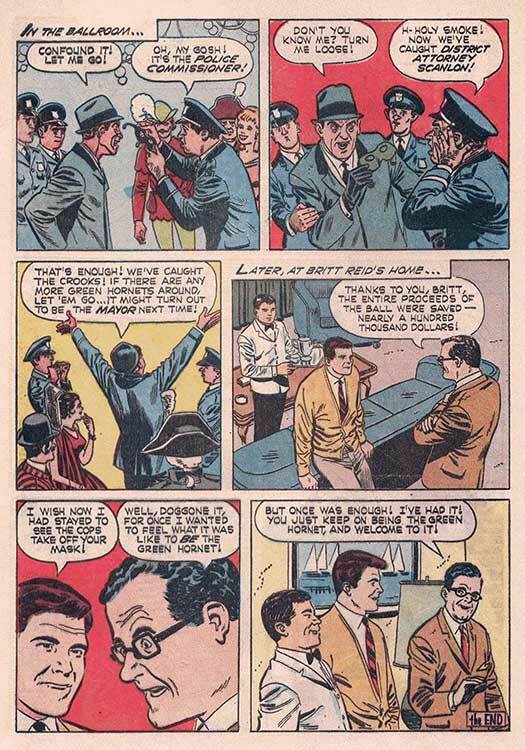 This brings our re-presentation of the Gold Key series based on the TV Show to an end. 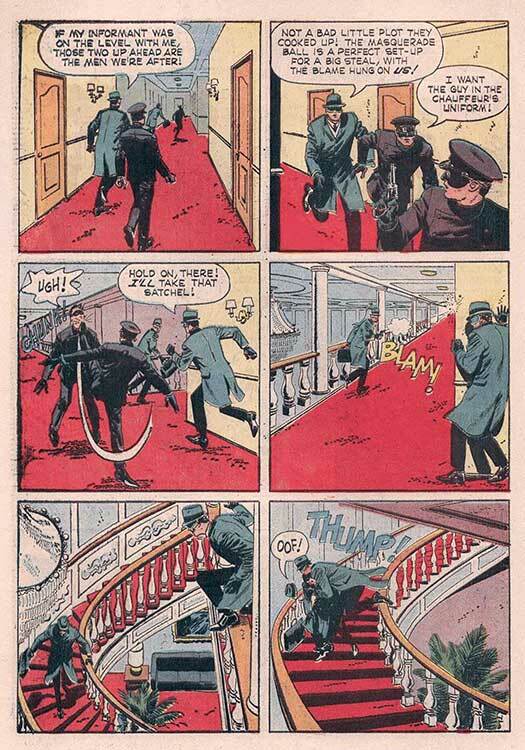 But, its not the end of The Green Hornet on Hero Histories! Come November, we'll be re-presenting some of the never-reprinted tales of the 1980s-90s series from NOW Comics that tied all the incarnations of the Green Hornet into one big family, like Lee Falk's The Phantom!